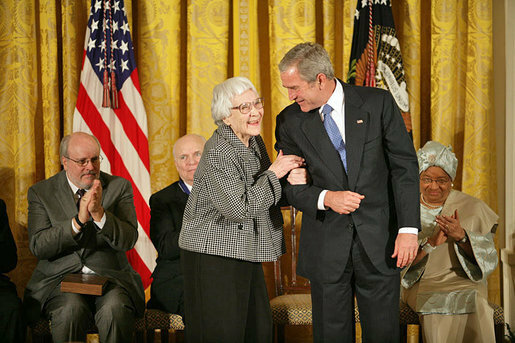 The Year's Free Wages That Resulted in the Novel "To Kill a Mockingbird"
Today I found out about the year’s “free wages” that led to Harper Lee writing To Kill a Mockingbird. The book, which was Lee’s first and only published novel until recently, was heralded as an “instant classic” when it was published in 1960, and it is a staple in high school classrooms today. But it might not exist at all if it hadn’t been for a kind benefactor who helped to support Harper Lee while she wrote the story. Lee knew that she wanted to be a writer after developing an interest in English literature in high school. After graduation, she attended Huntingdon College in Montgomery, Alabama, where she focused on writing. However, a transfer to the University of Alabama saw a switch to a law degree—no doubt in an attempt to do something that was potentially more lucrative—before turning her sights back on writing again. She wrote for the school paper before she dropped out of college entirely, opting instead to move to New York to pursue a career in writing. The problem is, you can’t produce a best-selling novel overnight, and you have to eat somehow. Lee ended up taking a job as an airline ticket agent, where she worked for several years. She was struggling with something all budding authors find difficult to balance: having the time and energy to write and the money to support herself while doing so. Luckily for Lee, she had befriended Michael and Joy Brown. Michael was a popular composer and lyricist who worked on Broadway, and was quite well off financially. Who could say no to that? Lee quit her day job with the airline shortly thereafter, and was free to write what she wanted, producing the story that would become To Kill a Mockingbird. But that wasn’t the end of the Browns’ generosity. They were also able to put her in touch with a literary agent, Maurice Crain, who would later help Lee get her bestselling novel published. Reportedly, the first draft read like several short stories stitched together rather than a seamlessly written novel. Lee worked with editor Tay Hohoff to rework the initial manuscript, and two and a half years of rewrites followed. She was warned that the book probably wouldn’t sell more than few thousand copies. However, Lee’s hard work had paid off more than anyone could have expected. Perhaps published at just the right time—dealing with racial issues just as the civil rights movement was kicking off in earnest—the book’s popularity skyrocketed shortly after publication in 1960. It was picked up by the Book-of-the-Month Club and the Literary Guild, featured in Reader’s Digest, and won a variety of literary awards, including the prestigious Pulitzer Prize. By 1962, it had been made into an award-winning movie. Needless to say, Lee was doing quite well. Over 30 million copies of the book have now been sold, and it has been translated into 40 different languages. 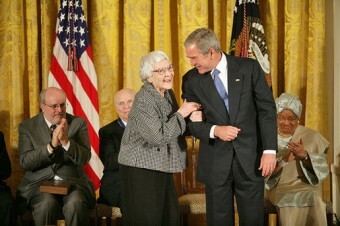 In 2009, it was reported that Lee was still earning $9,249 every day in royalties from To Kill a Mockingbird. At the moment, it’s estimated that Lee’s estate is worth over $45 million, and it’s estimated she’ll be earning $3-$4 million every year until she dies—and likely as long as the copyright lasts after her death, too. No word on if she paid back the Browns who gave her the year’s wages that enabled her to see such success. Two reasons: one, I wouldn’t go through the pressure and publicity I went through with To Kill a Mockingbird for any amount of money. Second, I have said what I wanted to say and I will not say it again. Who was the Real Mother Goose? Much of To Kill a Mockingbird is based on Lee’s childhood in Monroeville, Alabama. She was a bit of a tomboy like Scout, and her father was a lawyer. Lee’s best friend growing up was the one and only Truman Capote of In Cold Blood fame, who lived next door to her growing up. The pair remained friends into adulthood, and Lee even helped Capote with In Cold Blood, interviewing people and keeping notes. When the book was published, it was partially dedicated to her, but she was upset that Capote did not mention all of the work she had done on the book for him. There are rumours that Capote actually wrote To Kill a Mockingbird, or at least heavily edited it. Sorry to take away fuel from the conspiracy theorists, but there is no real evidence of this. While Capote probably was one of the first people to read the manuscript, he did not write it. In a letter to his aunt in 1959, Capote wrote that he had read and liked Lee’s book, and thought that she was a great talent. Nowhere does it mention that he had any hand in writing or editing it, and he never came forward to claim it when fame and fortune befell his friend either. That’s all not to mention the differences between the literary voices of the two authors, which is quite apparent! It was a shock to Lee that she gained fame so quickly for her book. She never liked being in the spotlight, and while she allowed people to interview her in the lead-up to the movie’s release, she did not enjoy being in the public eye. She largely retreated from public view in the 1970s and 1980s.